Those wondering how to lose weight fast may overlook one vital part of sustainable, healthy weight loss: water. 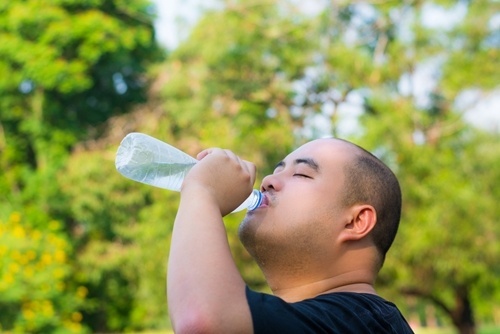 If you've been keeping an eye on your intake and increasing your exercise, but you're not seeing the effects on the scale, it might be time to take a look at your hydration habits. Water is the most important thing you put into your body every day. Humans are literally made of water: About 60 percent of the average person's body weight is H2O. When you're not hydrated, your body isn't able to function properly. This can cause you to have headaches, feel tired and actually gain weight. It can also have serious effects on the health of some body parts, like your kidneys and digestive tract. When you've received enough water, your body is able to perform to the best of its abilities. This means you'll get more out of your workouts, be hungry less frequently and see better results on the scale. Drinking water keeps your body running at peak condition. Water can improve your weight loss efforts in a number of different ways. The first is fairly direct: Dehydration can lead to constipation and bloating, which can make you look and feel heavier. "Once you start drinking enough water, you'll have a lot more energy." Drinking enough water is also likely to make it easier to eat the right amount each day. Thirst is often mistaken for hunger, which means that people are eating when they don't need to be. If you drink the right amount of water daily, you're less likely to be hungry between meals and snacks, making it easier to stick to your food plan. This will help you reach your goals more quickly and easily. The amount of water you need comes down to a lot of different factors. Your weight, activity level and food habits all play a part in knowing how many ounces you need a day. The Mayo Clinic recommends drinking 64 ounces, or 8 cups, of water per day. This is a great starting point, but might not be enough for each person. People with higher body weights need to drink more water, as do people who are more active. Remember to replace the fluid you lose during exercise: For each hour of exercise, you'll want to add 2 to 4 cups of water to your daily total. Because your body needs to be well-hydrated to metabolize effectively, drinking enough water will boost your weight loss and help you see progress on the scale. Provida Life Sciences is proud to bring you this health and nutrition information. 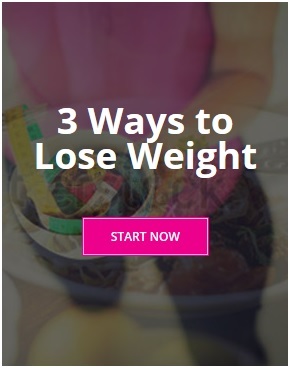 Begin your weight-loss journey by learning more about The Food Lovers Fat Loss System. This is such a wonderful blog about weight loss. I am going to share this with my sister. She has put on a lot of weight and so she has adopted a wonder body challenge to shed her body weight and fats. All details about it is available at http://www.cellublue.com/fr/wonder_body_guide.php. I hope that my views benefits people over here. Once again, thank you for sharing this blog.